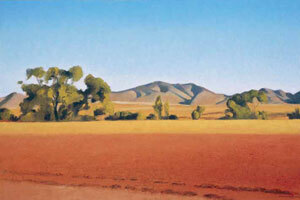 Gary Ernest Smith, Wheat Field with Blue Mountain, oil on linen, 16" x 24"
Gary Ernest Smith would like to know what happened to the great American farm of decades past. After witnessing the corporate takeover of the agrarian culture in this country, Smith laments the absence of man's presence in the fields, the structures and daily workings of what is quickly becoming a symbol of a lost past. 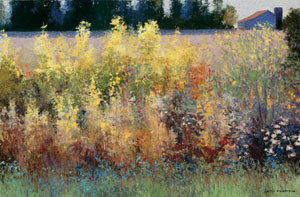 "This new series of paintings reflects manmade and nature-made effects on the rural life," says Smith. "Because of my rural background, my work over the years has captured the people of the land and the rural landscape itself. In this new show, I have introduced the hand of man n how the fields were altered." 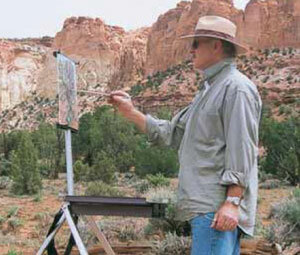 In Smith's large field paintings, you can see the manipulation of the land in the painting. In these large and almost abstracted canvases, you can see the way the earth has been plowed, cultivated and changed by the hand of man. 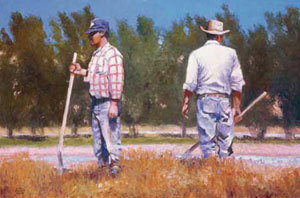 Gary Ernest Smith, Irrigation, oil on linen, 20 x 30"
"Over the years, fields have become meaningful symbols to me," says Smith. "I have very special feelings associated with them. These feeling haves matured into a series of images portrayed on canvas. Generally, I want the paintings to portray vastness, simplicity, peace and order, Yet, ithin this tranquil simplicity, there is an intricate complexity." 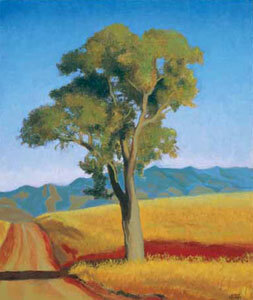 The inspiration for this year's show in Scottsdale came during Smith's travels to Colorado, New Mexico and the red rock country of Southern Utah and northern Arizona. These days, wherever he goes, Smith finds evidence of this increasing transformation of the American farm. 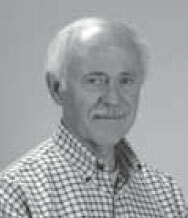 "A major theme for me is the urbanization of the West," says Smith. 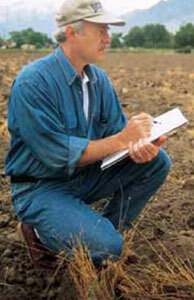 There is a statement about wise land usage which we don't always have the opportunity to do. I wish we were better planners, but money tends to always win out. I would hope we would be smarter about that, and I don't know if we always are. It always seems that the best farmlands are the ones that get used first. It's happening all over the country and there is a certain social statement there. I suppose true art in its best form hits all those things-a universal quality as well as something that has both historic and personal relevance to the artist." 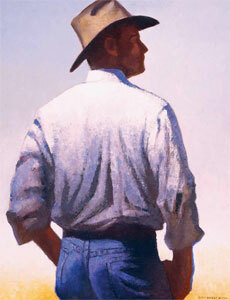 Gary Ernest Smith, Cowboy in Morning Light, oil on linen, 30" x 24"
One major part of this shift in the rural landscape is the disappearance of the old barns. In these new works, Smith paints the few rustic barns that do remain in a way that gives them an iconic role rather than just being a suggestion of a certain place. 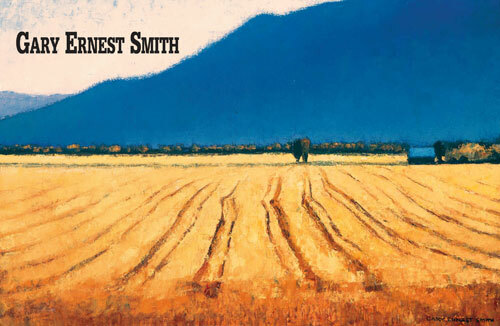 As Smith's art is meant to depict the farming industry, through the period of horse powered machinery to tractors and then to the more mechanical part of the industry, the loss of the traditional wooden bar to its more contemporary version, marks a major turning point in the industry. 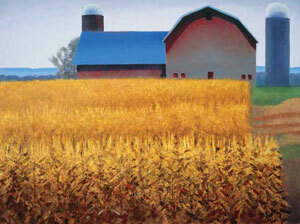 Gary Ernest Smith, Field Texture, oil on linen, 30" x 40"
"In the show, there are new paintings of barns that have become historic relics," says Smith. 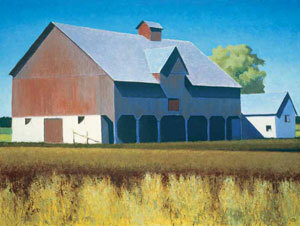 "Farmers still use barns, but the new ones are more contemporary. I recognize the aesthetic value when I see an old barn or out building, and then paint it using the imagery that I see in my mind. The play of colors against each other goes beyond direct observation. 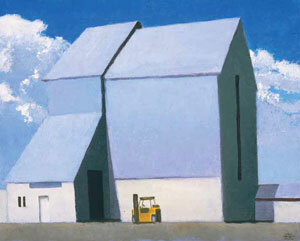 I love the strong architectural elements in the rural landscape." 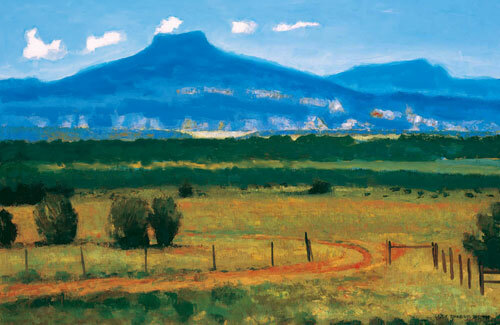 Gary Ernest Smith, New Mexico Landscape, oil on linen, 16" x 24"
Early in his career, Smith decided that instead of going completely into Western art and subject matter, he would instead focus on these rural scenes-mainly because of his background and interest. 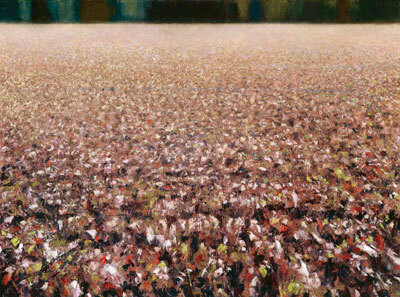 His new paintings seem to transcend the West and, with the universality of his fields, they could be almost anywhere. 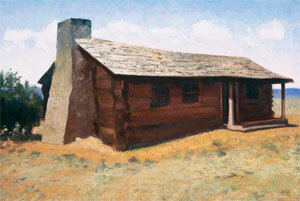 Gary Ernest Smith, Pioneer Log Home, oil on linen, 20" x 30"
Gary Ernest Smith, Arizona Oak, oil on linen, 20" x 24"
"So much of my work is about the West that I consider myself a Western artist," says Smith. "Living in the West and being part of the West, it would've been easy for me to go Western but it seemed as though to me that would've been derivative of what had already been done. So, I moved from the taming of America and the colonizing of the American West to the cultivating of America, to what became the bread basket of America-the rural farm where this country first started drawing its strength and work ethic." Gary Ernest Smith, Weathered Barn, oil on linen, 36" x 48"
As he began to make that change, his paintings became more symbolic and more iconic. "I wasn't capturing the moment anymore but capturing the period," says Smith. "The people in the paintings became symbolic of the period. 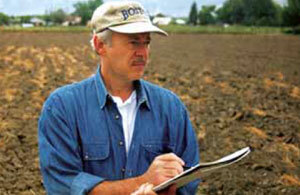 I started out putting people in the fields but in the 90s something happened and the people started to diminish and the land became larger and larger. Then, pretty soon after that, I made the switch from historic to contemporary." 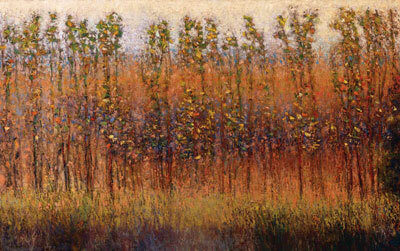 Gary Ernest Smith, Field through New Growth, oil on linen, 30" x 48"
Gary Ernest Smith, Wild Growth Between Fields, oil on linen, 24" x 36"
These field paintings allow Smith to be more spontaneous with his work and to let the painting dictate a direction during the process rather than keeping it the same from beginning to end. "I work from a feeling, a feeling I want to have when I'm finished," says Smith. "I start with a concept but the concept changes and defines itself as I work I believe that artists who manipulate paintings too much in the beginning tend to strangle every detail out of it. But, for me, there is something important that happens in the process and you miss something when you strangle every creative detail out of it in the beginning. I like to see it change and evolve during the process." 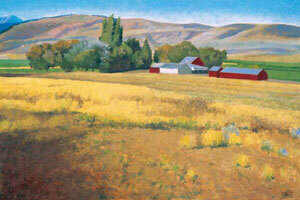 Gary Ernest Smith, Storage Units, oil on linen, 16" x 20"
Gary Ernest Smith, Arizona Looking Towards Mexico, oil on linen, 24" x 36"
Gary Ernest Smith, Farm in August, oil on linen, 24" x 36"
Gary Ernest Smith, Western Cornfield with Barn, oil on linen, 36" x 48"